Not sure which items to choose, then why not go for a Lucky Dip with these Goodie Bags? 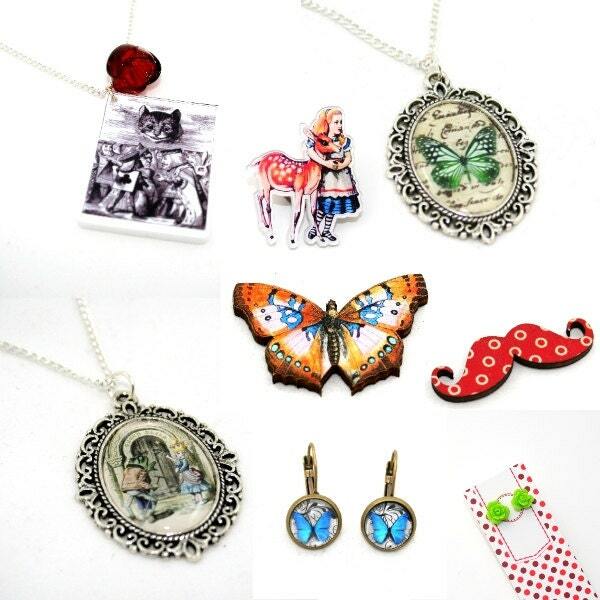 Each goodie bag will include a selection of necklaces, brooches and earrings. Some of them will be pieces readily available in my Etsy store, others will be from new ranges, or items I reserve especially for craft fairs. The final photo shows a selection of the items which may be included in each goodie bag. 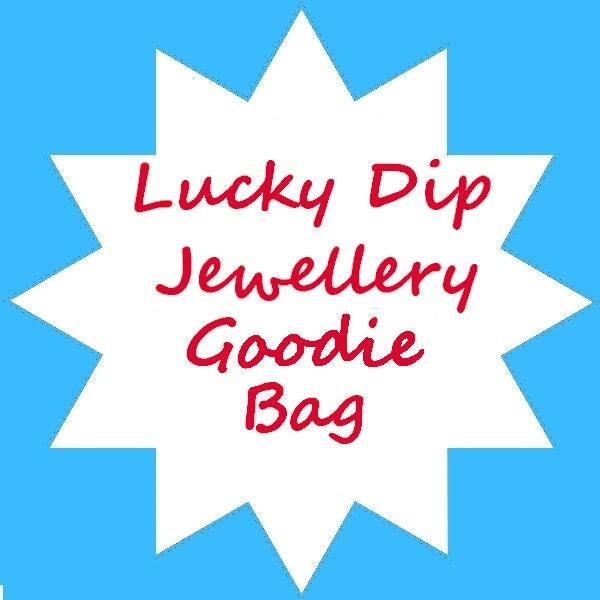 The £10 Goodie Bag - This bag will include at least £25 of jewellery (minimum of 4 pieces of jewellery). Treat yourself to a nice surprise, share your new stash with friends or save some pieces for Christmas presents. If you have any questions, then please feel free to send me a convo. Merci beaucoup, je ne m'attendais pas à recevoir autant de bijoux ! A beautiful selection in my goody bag thanks!